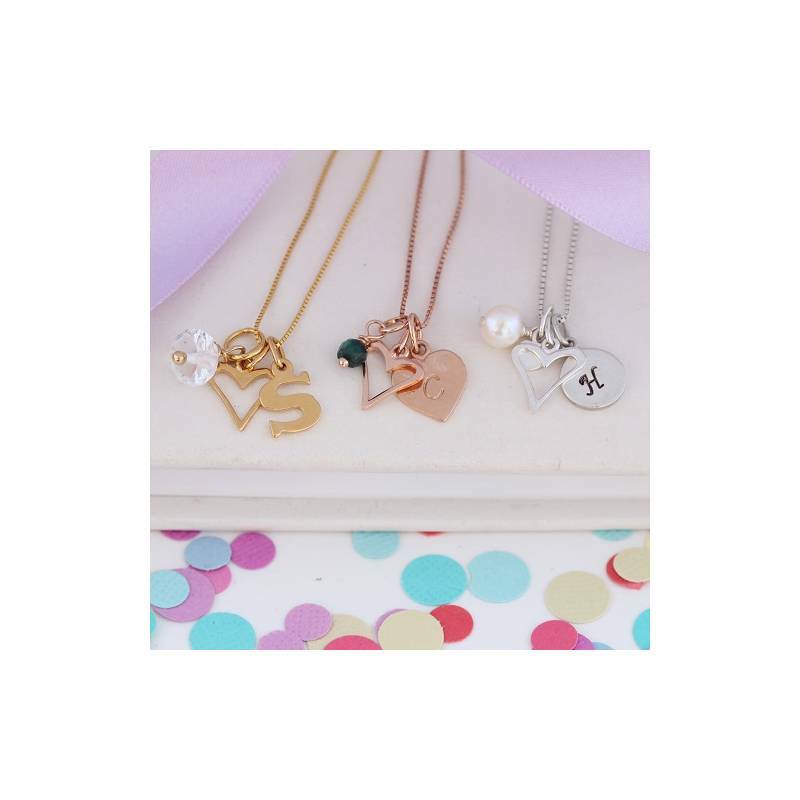 Gift wrapped, this childs necklace is the perfect meaningful gift to commemorate the birth of a baby girl, her Christening or birthday. Or perhaps to say thank you for being your flower girl. 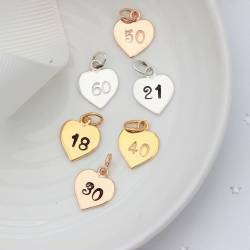 You will find some further charms under the products you may like tab below or in the charms section for the full range. If you would like a number that is not listed please just let us know and we can set up the option for you. The gemstones are genuine faceted gemstones and so the more expensive ones such as sapphire are smaller than the others. Due to their organic nature, colours, inclusions and veining may vary from the online images. 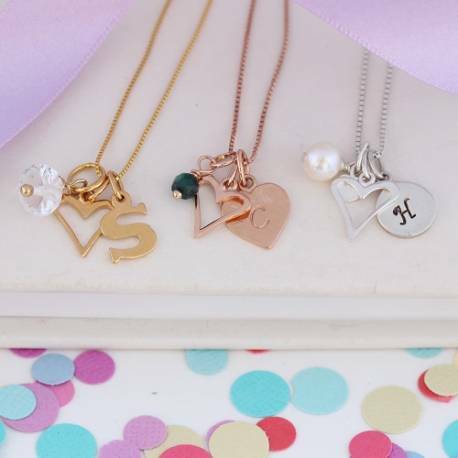 Sterling silver, rose gold plated sterling silver (vermeil) and gold plated sterling silver (vermeil). 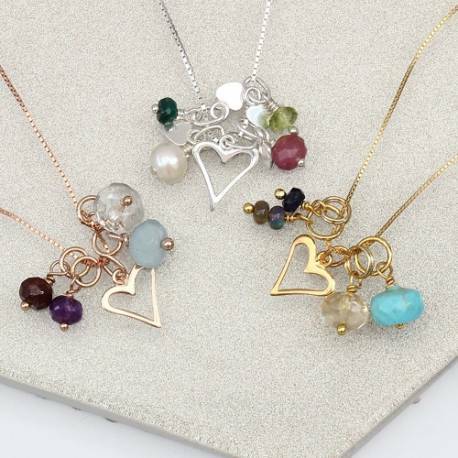 The childs heart measures 1cm and hangs approx 1.5cm from the chain. The box chain is available in 3 lengths approx 14"/35cm, 16"/40cm and 18"/45cm.